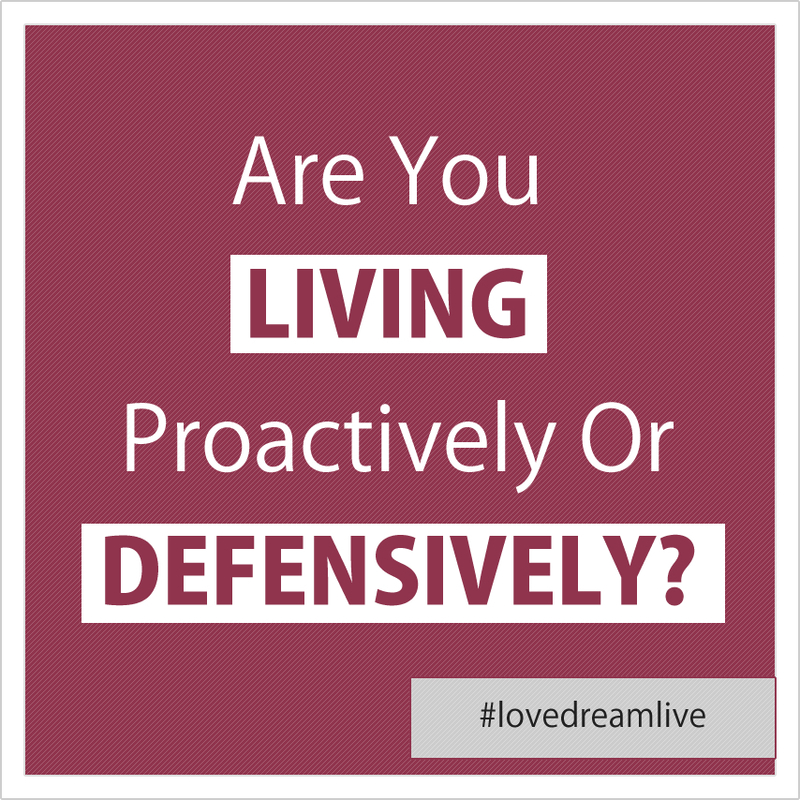 Are You Living Proactively or Defensively? Thanks for tuning in : ) Today we will talk about what it is like to live defensively, and what could be some red flags for you. We also cover what it looks like to live with a proactive approach to life. When we live defensively we block,protect, and numb ourselves from both the positive and negative experiences in life. Living proactively and with more awareness is a practice that requires a lot of effort and courage, but it is very much worth the investment. I encourage you to take a closer look at your life, and how you can be living more fully every day. Hello Fabulous! How do you feel right now? Today’s episode is about being fully aware of our current emotional state. It is also about paying attention to what you have to “check in” with to determine if you feel happy or not. 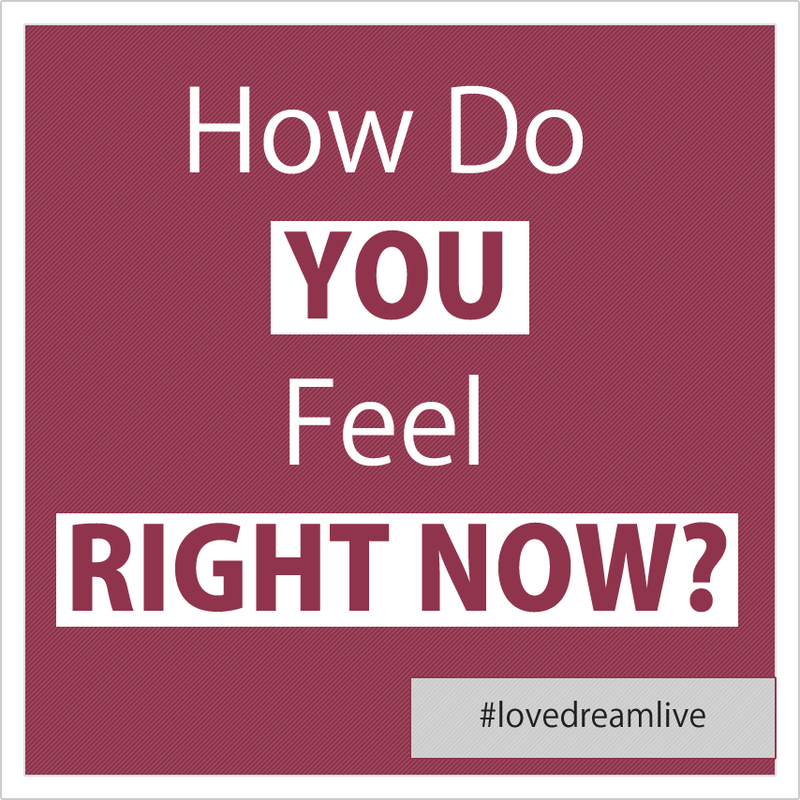 Do you have to check with your significant other, your boss, or check your bank account to determine how you feel. The external sources that determine how you feel on any given moment can hold you back from feeling your best ever when you allow them to. Think about how you feel, assign it a number with 1 being terrible and 10 being amazing, where do you fall? Keep tabs of how you are doing and pay attention to what you can change RIGHT NOW to raise a 5 to a 6 or a 7 to an 8. The goal is to feel the best you have ever felt without having to rely on anything or anyone outside of yourself. 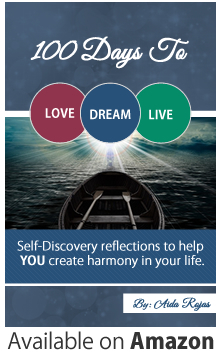 I encourage you to create a rich inner world that can not be disturbed by external forces, this will help you feel more peace and help you create harmony in your life. 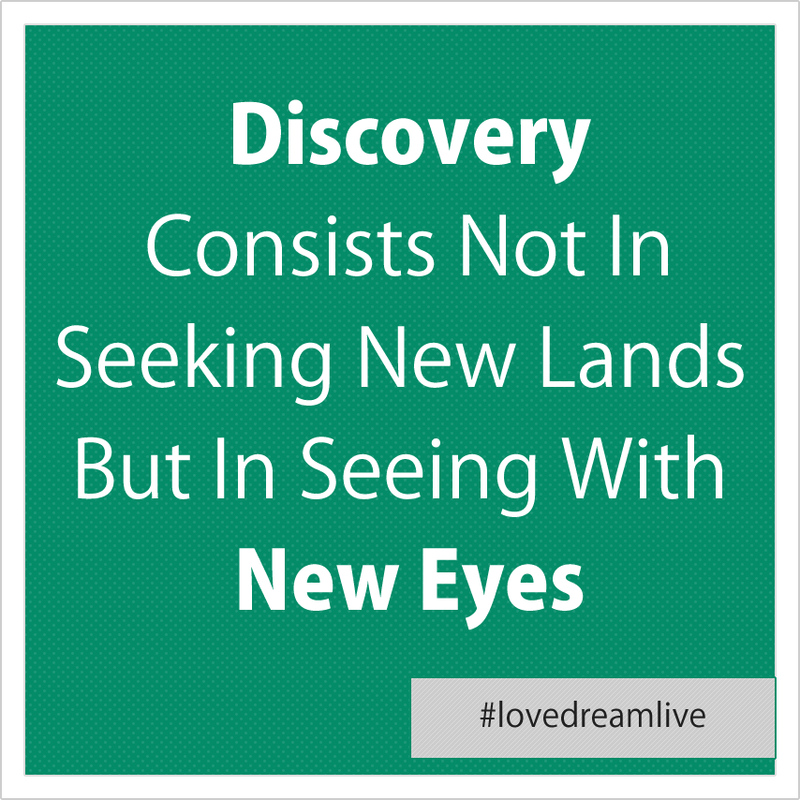 Today we will be talking about finding treasures from where you stand. Instead of searching for a new job, or relationship, or longing for something new, try to look at your current environment from a new perspective. Don’t blame your boredom or lack of excitement in life on anything or anyone outside of yourself. We tend to take everything and everyone that is familiar for granted. I encourage you to become more aware of the people that are in your life right now. How can you engage them in a deeper, more meaningful conversation? How can you share more, give more, and take more in? We tend to overlook the familiar and always seek something different, something new, when if we stop to look deeper we already have a wonderful world around us. Just pay attention to the air that you breathe everyday. When was the last time you noticed that there is plenty of air for you to breathe every single day? Look closer at your life, and put a magnifying glass to all of the wonder and joy that is already before you in the present moment. Today we will be talking about remaining still and going deep within yourself to break the walls of resistance that you have built against everything that you want. 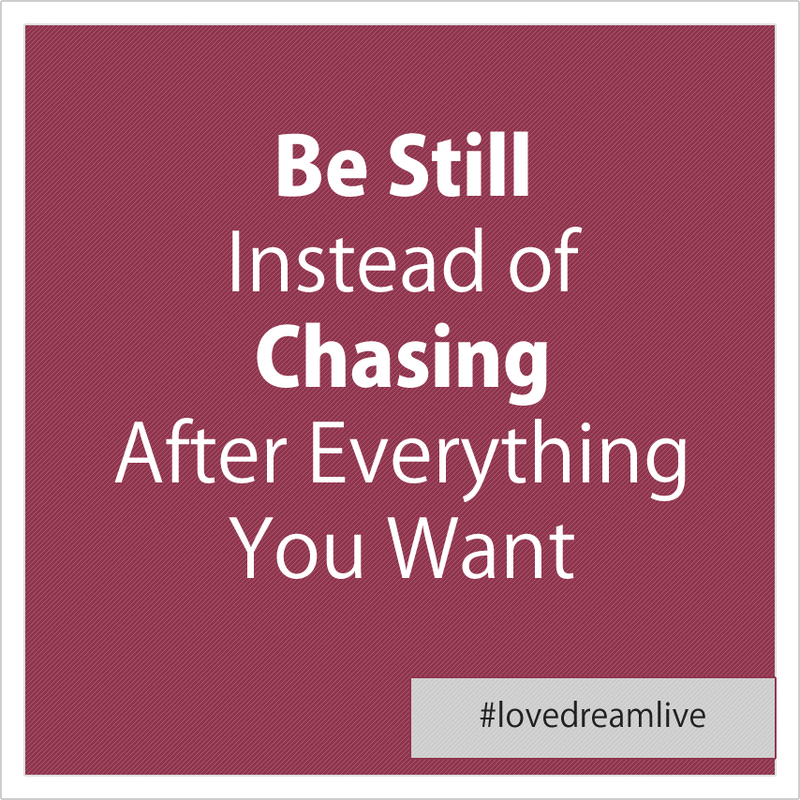 Instead of chasing what you want, for example more love and money, try to remain still, break through your limiting beliefs and allow these things to flow towards you. It could be that you are not getting what you want because you are not ready. Yet your impatience and chasing will only KEEP you from everything that you want.